Real News on real paper. Newspapers-- a free press-- were the cornerstone of the Founding Fathers' working model of democracy. And they remain so. Whether read at the kitchen table, in the boardroom, or on a laptop on the subway, newspapers-- as has been said of them for more than a half-century-- are "the first draft of history. 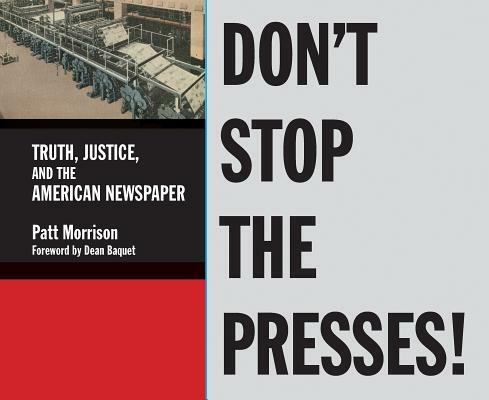 "Veteran journalist Patt Morrison proves it, and then some, in the pages of Don't Stop the Presses Truth, Justice, and the American Newspaper.